Beautiful woven ribbon collar in black and tan stitched onto black webbing with a chunky black buckle and metal d-ring. NOT suitable for toy breeds and pups. X-LARGE fits neck 50-60cm approx. Collar width 2.5cm. 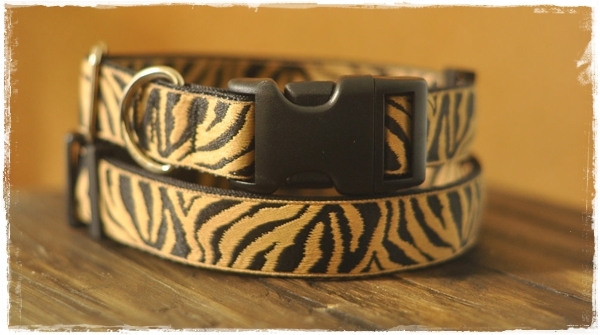 NOT SUITABLE for very small dogs, toy breeds and pups as the collar is wide with a big chunky buckle. Don't see your dog's size here? 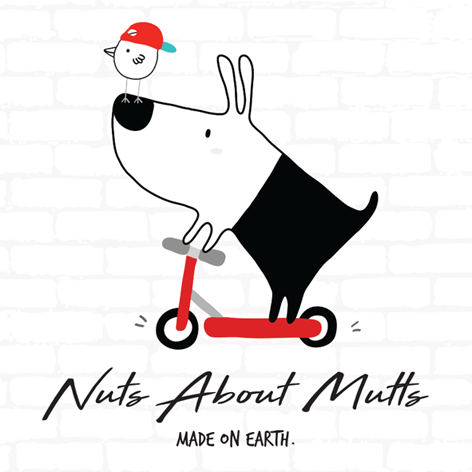 Please contact info@nutsaboutmutts.com.au and we'll make one up for you!